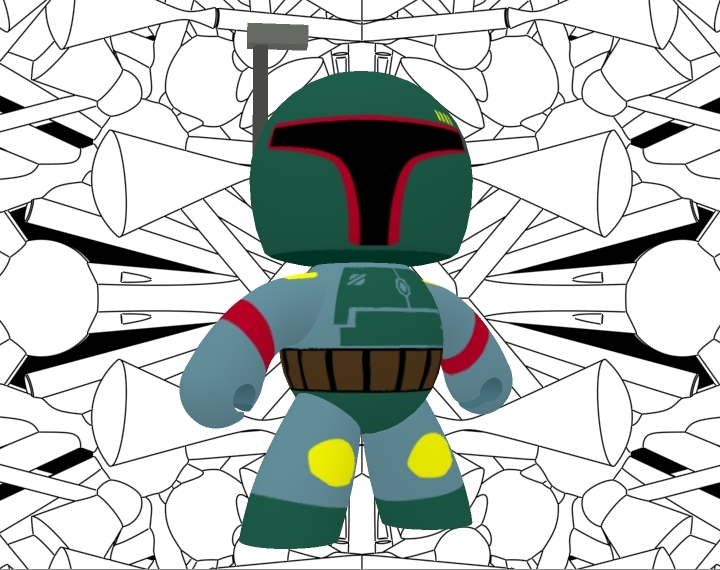 I got excited when I saw that Content Paradise, SmithMicro, PoserPro, Groboto, Anime Studio & Manga Studio were following me on Twitter, so I decided to make a new texture for the beloved Veeple Male from Vanishing Point (purchased at Content Paradise) based on Boba Fett`s Mighty Muggs toy. The texture was made in Anime Studio (I love working it Vector-style), the background was made in Groboto, and it was rendered in Poser 6. Enjoy! I`ll share the texture if you want, I`m planning on doing more Star Wars Veeple textures.